Just in case you wanted an update on my ankle, it's still in pain, probably because I am VERY bad at doing what I'm told to do. And I am VERY bad at being patient. I hope I'll be able to make a trip to Berlin fairly soon, but there's a while before I go, so now I am really trying to obey the physio in every detail and simply not be my usual headstrong self. Meanwhile, I've been looking through old slides which T. has kindly been scanning for me. I stopped taking slides about 12 years ago and in some ways I'm sorry. The colours are slightly more muted than digital pictures, but when projected, the range of tones is far more subtle. Since I have hardly been anywhere or done anything this month, I thought you'd like to see a few of the slides I took in Malta when I was on assignment for Islands Magazine about fifteen years ago, and hear some of my rather rambling thoughts about the place. If you have read this blog for a long time you'll know I moved from Belfast to Malta when I was 17, so it was a bit of a trip down memory lane for me, to see how things had changed. To my surprise, they hadn't changed quite as much as I'd expected they would. So, these are boatman in Senglea, a district of Valletta. 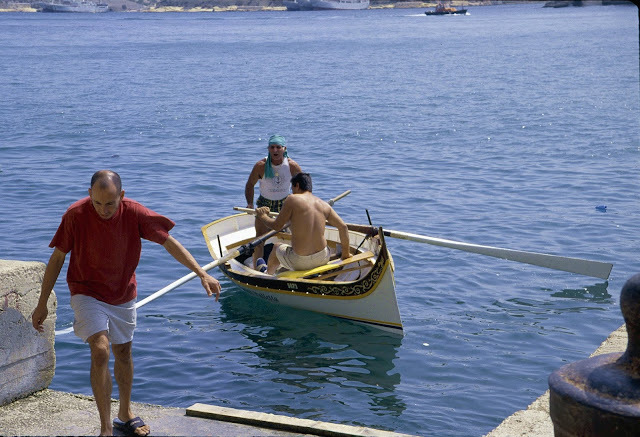 These boatmen are (or were) incredibly tough and strong and these ones had been involved in some way with the Regatta which takes place in Grand Harbour twice a year, when teams of boatmen are pitched against each other. It's a tremendous event and lots of fun. 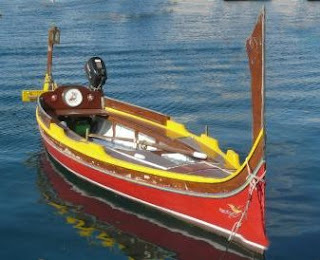 This boat's similar to the traditional Maltese "dghajsa" water taxi (below - not my picture) though as you see it is not the same. When I first saw Malta, there were usually working dghajjes in every harbour, but now they're really just a tourist attraction. A shame because they are beautiful and colourful. And I can't tell you how exactly how to pronounce "dghajsa" (I say "DY-SA"). Maltese is an interesting language, and looks as if it is very difficult to read. I think it was probably originally written in Arabic, as it is a blend of Arabic and Italian. Here is a documentary starting with a beautiful dance sequence narrated in Maltese, so you can hear this interesting language. If you speak North African Arabic, or Italian, you can probably understand most of the rest of the documentary too. Nothing shows better than the Maltese language just how much this tiny island has been a cultural crossroads for centuries. I don't know how much Malta makes of its culture to visitors, but essentially the feel of the place is very much Southern Mediterranean, not North African. Each village has its annual "festa" centering around the Virgin Mary, and the fireworks are truly spectacular. I've seen many wonderful Disney fireworks shows, but they look quite tame compared with some of the elaborate displays you see in little Maltese villages. 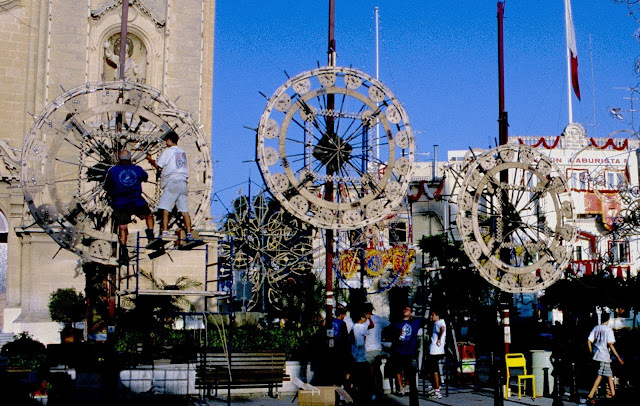 Here are some preparations for giant displays of Catherine wheels in Mosta - do you see the men on the left fixing all the fireworks on the frameworks? When these structures burn, they make a sequence of beautiful ever-changing shapes in the dark. Malta has 30-odd small fireworks factories which sometimes blow up, as there was, and perhaps still is, a very laid back attitude to safety around fireworks. Below, you might be able to see that the crowds clustered right around the frames, although we did have to stand back when the fireworks were lit. Sorry about the high contrast - that's one of the problems with scanned slides, I guess. The atmosphere was very exciting and full of happiness. So the fireworks were as good as ever, but on this trip I was also eager to see the buses again. During my teenage years, each bus route had its own distinctive colours, so you could immediately see which bus was yours. Our route had green and white livery. The buses were of various vintages, and each belonged to one particular driver, who decorated it to suit himself. They were really quite remarkable and I hoped they hadn't been scrapped. On the trip for "Islands" I saw that the colours had been standardised to orange and yellow, which seemed a bit pointless to me, but the buses were still very distinctive, and nearly always beautifully kept and clearly well loved as individuals. I remember on our bus route when I was young one bus had the message written over the door: "GOD IS WATCHING, BE CAREFUL WHAT YOU WEAR!" which seemed to be directed just at teenagers. Now, they have modern buses in Malta. I know things have to change, but it's kind of sad. I wonder if the drivers still sit to one side of their seat, so St. Christopher can sit next to them. I do have many more pictures of Malta, not all of them scanned, but I think this is enough for now, and I hope you've enjoyed seeing them and hearing my thoughts on them. And, oh, I forgot to say that I also have developed a dental problem. Our practice has recently been taken over, and I needed a molar crowned, but within hours of my new dentist fitting the temporary crown, it came off again. The other dentist in the practice tried to re-fit it, but found that it came off again immediately. He decided there was something wrong with the temporary, and made another, which was fine. But when my own dentist came to fit the permanent crown, she had difficulty as it didn't seem to fit. She tried to blame the other dentist for creating problems (!) and somehow got the permanent one in, and it didn't feel right. Somehow she managed to get it to seem OK, it wasn't hitting the one below, but after she cemented it in, I found that something about the alignment is wrong when I am actually eating. My lower tooth puts terrific pressure on one edge of the new crown. It feels like I'm constantly biting on something too hard. I know if it continues I'll develop neuralgia, so I'll have to go back on Monday. This time I hope to get the other dentist, and I sure hope he can fix this. After that, I think I'll be moving to another dental practice. Things do have to change, which is good and bad. We lose a lot for everything we gain. Perhaps the busses are still in existence and could be repurposed so as not to lose them totally. So sorry about your ankle and your tooth, and i hope your current dentist can repair what has obviously been messed up. 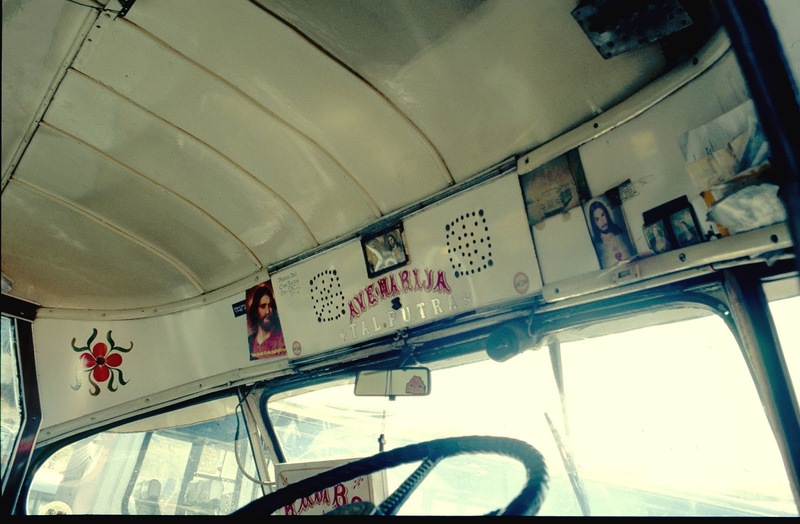 I think that some of the buses are kept on as "vintage" ones and used for weddings and special occasions. I wonder if the drivers personalize the modern ones! Love the buses! Such a shame they have been standardised. I expect money is too blame, Malta has a government as honest as the one at Westminster. Good idea looking out your old photos as you must have loads of great ones. The yellow buses are adorable. They remind me of my youth. I guess they are the same colour as American school buses, in part. Firstly, I'm sorry to learn you're still having problems with your ankle, Jenny...and now the tooth discomfort on top of that! I hope all soon is back to normal working order!! A lot of Maltese migrated here to North Queensland to work among the cane fields back in the early to mid part of last century....from around the Mackay area north. Those dghajjes look lovely...wonderful reminders of days gone by. Thanks Lee, I'm replying rather late to this and my ankle has been joined by my knee in a freak accident in a shop. But despite this I am pretty well back in action now and will be writing another blog post soon! Those crowns are tricky and have to fit exactly right. I'd find another one too. Thank you for the pics of Malta. I know nothing about it and doubt I'll ever get there so it is a treat. Love Love Love Catherine wheel ! I enjoy fireworks but July 4th always comes when we have wildfires. The buses are wonderful . I so enjoy your post today. Thank you Parsnip, the catherine wheels were truly sensational! Sorry to hear about your tooth problem and that your ankle still hurts. Hopefully you'll be pain-free by the time you go to Berlin; I expect there will be a lot of walking involved, so I hope that trip won't set you back in what you have already achieved through physio and rest. Malta has long been on my wish list for a holiday, so this was a very interesting post for me. With the refugees crisis involving the Mediterranean islands so much, I have recently taken a mental distance of this particular wish; I absolutely do NOT want to be one of the voyeuristic toursits who get a thrill out of seeing other people's suffering. Sorry for the late response to this. I have now been to Berlin and all except the last day was OK. I'm a lot better. I don't know how Malta is dealing with refugees, you don't hear too much about it. It is such a crowded island I am not sure how much it would be possible for them to do for refugees. Interesting, I will look in to it. 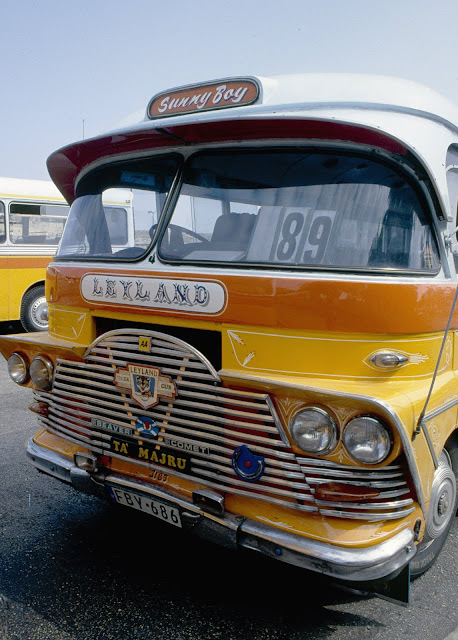 I visited Malta for the first time back in 1963, and was very nervous on my first bus ride when I realised that the driver was not sitting in his seat. I visited again a couple of years ago, and although I did not go on a local bus I am sure that with seat belts, health and safety etc that is not the case anymore. Hope your ankle and your tooth are sorted out for you soon. My dentist of over 30 years has recently retired and I am not happy with his replacement either. Oh, yes, I had not thought about seat belts. Although I suppose there would still be room for St. Christopher if the driver sat on one side and St C. slipped in beside :) Actually I think they were so used to it they might find it difficult to drive if they did sit on the seat. Never saw or heard of any accidents involving the buses anyhow. dgh... well, I tried, but even though you explained the 'sound' of the word I still couldn't wrap my tongue around it. I tried to recall if I had been to Malta but the memory let me down. I seem to remember one minute, then forget the next. That's why blogs like yours are so useful. Sorry to read about your tooth problem. 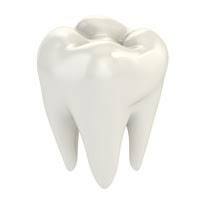 It reminded me of a problem with a wisdom tooth - many years ago - when I vowed never to visit the dentist again. Slight exaggeration, but it wasn't long before I went in for imitation molars. Yes, it is an intereseting language, which is why I put the little film in because it is so hard to describe! Oh my goodness, poor you. Dental problems are the pits. I hope both foot and crown resolve well. thank you, it is all much better, though not quite right in either case. What enjoyable pictures of Malta you have Jenny. 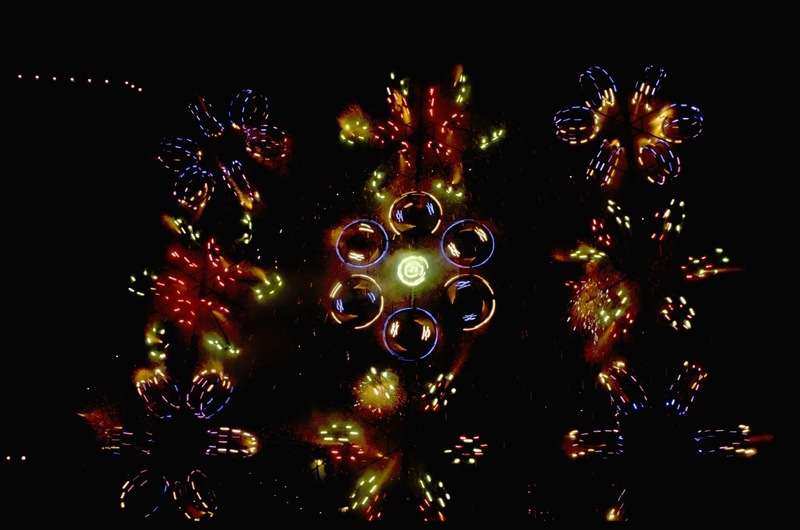 I never knew they were experts at fireworks, and they do look stunning. The little coloured boats are gorgeous, and how lovely to see them in the harbour. I am so sorry about your dental crown. I actually had a similar experience years ago - having about six crowns already, I knew immediately something was very wrong when the temporary crown was fitted. The pain was terrible, however the dentist insisted all was well. As it became worse, I rang, and went back to the practice, to a very rude receptionist and told to take strong pain medication. Eventually another dentist removed the temporary crown, to my immediate relief. It really had been put on the wrong way! The second dentist fitted the permanent crown and all was well. I never went back to that dentist. Good luck and I hope you are fixed very soon. Yes, it is hard for me to think of Malta without fireworks. When we lived there we used to enjoy seeing the rockets from the various festas visible from our house. I am sorry you had a horrendous experience with the crown. I am not convinced my dentist has really fixed it, but I think I can live with it. If I develop neuralgia I'll have to go back at the first sign. This happened once before with me so I am very aware of it. You're very lucky to have the choice of dental practice. After having the same dentist (a very good one) for over 30 years It's now a real struggle to get to see one for a check-up. I enjoyed the trip to Malta: a place to which I have never been. This is so interesting, all of it, but particularly the buses. Thank you. I am always fond of old vehicles, I don't really know why I find them so charming. Dear jenny Missed reading you! how bad to read about your dental treatment my friend and really pray and hope that you will find it finished soon by new dentist! credible post specially big thanks for sharing the old pics from Malta! please stay strong and keep obeying your docs! Thank you Baili for your very good and kind wishes! Always positive and looking on the good side of things! Malta looks beautiful. There are a few places from my childhood I'd love to re-visit. Yes, it is always very interesting seeing how they have changed. I lived in a lot of places in my childhood. I would like the bus routes having different colored buses. I suppose it could cause issues if they have repairs and don't have a spare one the right color--LOL! The dental issues sound horrible! Yes, I'd get a new dental group! Looks beautiful there. :) Hope you feel better soon. Haha! I had never thought about the problem of the wrong colour bus! I guess in a way it does not really make sense to do that, but it was just so nice to see them, all different vintages too. You would have your favourite bus!!! Beautiful pictures of Malta! My in-laws spent a winter there about 20 years ago, and they loved it. Hope your dental issues are resolved tomorrow. I'd be switching to a new practice, too! Yes, a lot of people spend the winter there, it's mild although there are some heavy rainstorms and it is not necessarily warm enough to swim unless you're very brave! I'm sorry you are having to deal with physical ailments at the moment. Take care of the ankle and get your bite aligned correctly, then change dentists. I think you have the right idea about that. The slides are lovely, and the culture you described fascinating. From my corner of the world, it seems quite exotic. I know zilch about Malta so now I must go read a bit about it. Good luck with everything. I do think that little islands can have a fascinating and unique culture, although in truth it can also be somewhat claustrophobic I suspect. 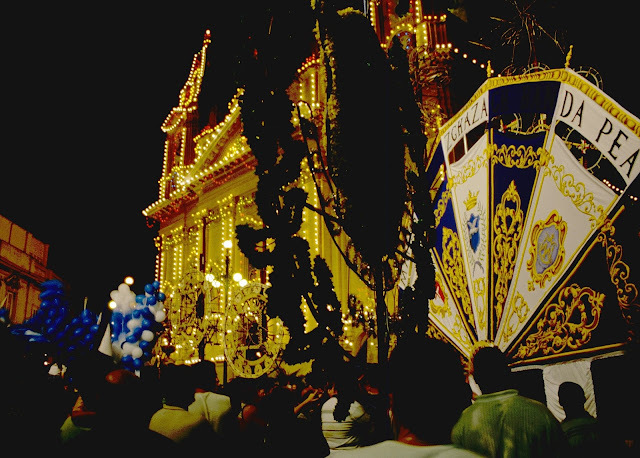 I've never been to Malta but I've always been curious about it, so your brief introduction is most interesting. I speak a bit of Italian, so I can see the Italian influence in Maltese (I didn't know they had their own language!). The fireworks look magnificent, just as good as the municipal displays they have here. I hope you get your tooth sorted out. It certainly looks like your current dentists don't really know what they're doing and a move to another practice would be a good idea. I'm glad you went through your slides, Jenny! About the only thing I know about Malta is that the queen spent a couple of her early married years there when Philip was in the Navy. So I had no idea how much more Mediterranean/African it was compared to English. Learn something new every day! It looks very exotic and an interesting place to have lived. Bummer about combining dental work AND the leg stuff all at the same time. I hate it when the dental alignment is wrong -- you can easily develop headaches that way. Been there, done that. I hope you get the other dentist and that it can be fixed. Fingers crossed. Thanks, Jeanie. Yes, I did develop neuralgia years ago through a misaligned tooth and I think I must be particularly sensitive to it. She ground down so much including of neighbouring teeth that I was really a bit nervous about asking her to do any more, but I don't think I will be going back. I wasn’t quite sure where Malta is so I had to look it up on a map. Their language is beautiful and, to me, sounds Italian. Sorry to read about your physical problems, Jenny. . You are hurting from top to bottom. I had a dentist who made problems worse for me a few years ago and like you, I had to find another practice ( after paying the first one a small fortune). I hope you are chewing better now. Malta is so tiny that it is quite hard to find on a map, isn't it! It has always had a very important strategic position in the Mediterranean which is why there is such a mix of cultures there, and it has seemed to get involved in so many battles. Hello Jenny, In Taiwan there is national health insurance that covers some dental work, but it seems the better dentists are outside the plan and charge regular fees. When I had a crown done recently, my dentist took infinite pains to fit it correctly, with many visits for tiny adjustments before he cemented it permanently. Good luck with your own crown; I hope that all is ok now. Thank you, it is more or less OK. To be fair to her, my dentist did go to a lot of trouble to correct it and did a lot more than I thought she'd be able to, but I think it was not done right in the first place. Your photos of Malta, Jenny, make me envious, because I love the sea and for years I can not fly to the sea. I'm glad that you became patient with your ankle. I'm sure that day after day it will not hurt. In fact, this problem is not one of those that recover very soon, no! Problems with dentistry make me sad, I do not like to sit in a chair and hear the noise of their instruments. Living on an island, we are never TOO far from the sea here, and I think I would be a little bit sad if I was a very long way away. I hope you have some nice lakes near your home, though. Did you see falcons during your stay? Better days with good condition of your tooth. No, there are not many birds on Malta because local people like to shoot even the small ones for sport. (oh dear). I don't know if they still do. I loved this post about Malta. My dad was stationed there for two years when he was in the navy and it is somewhere I have always wanted to visit. Have you tried massaging comfrey oil or cream into your ankle? I expect you've probably tried everything. I hope it gets better soon. I don't blame you for looking for a new dentist and I hope that's all sorted out soon too. There were so many service personnel on Malta at one time, and perhaps still are. My sister actually attended the Naval school at Tal Handaq in Malta, and there are many relics of the military past there. Hope your ankle improves soon & you get the crown sorted out. A pain in the pocket as well as the mouth! Your photos of Malta are lovely Been a couple of times & I think it's time we went back. Those fireworks look fabulous didn't see any when we were there. Will have to see if there's a calendar of fiestas before we book. 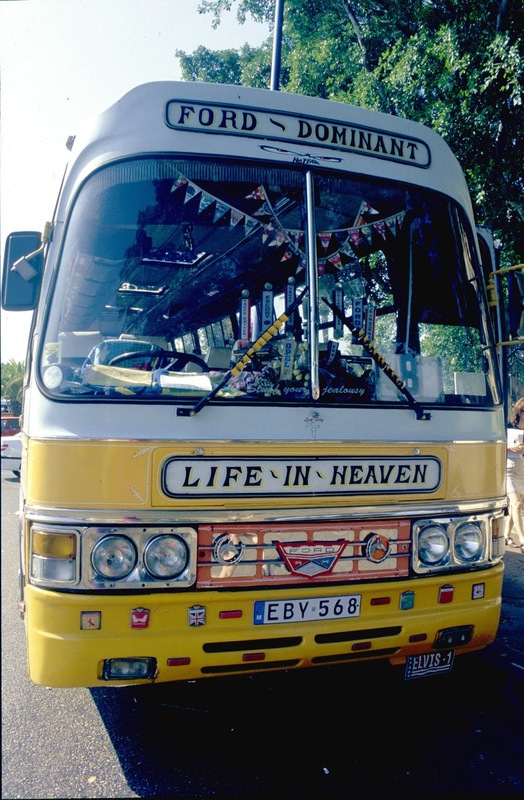 We loved those old buses & remember all the statues & rosary beads on the dashboards. Shame they have gone but the new ones look distinctive. I hope you get to return to Malta. I think I will go back again - it's about time for another visit. I haven't been to Malta, I enjoyed your trip down memory lane, and as for the tooth, good luck! Dentist vary so much these days.